Will You Kvell or Kvetch? 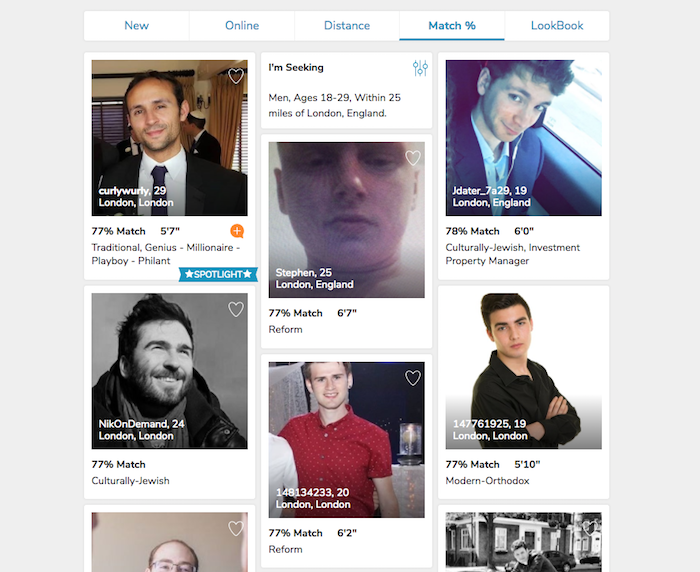 For Jews around the world, one name is synonymous with online dating: JDate. Founded in 1997, JDate is a niche dating website that has been helping Jewish singles find love for twenty years. Claiming over two million visits each month and a near equal male to female ratio, the site seems like a no-brainer for Jews looking to put themselves out there. But can the service really help YOU find that special someone to bring home to your mother? Does it cater to the Jewish or Jew-ish? And can you get a good deal when signing up for the service? I joined JDate to find out more. 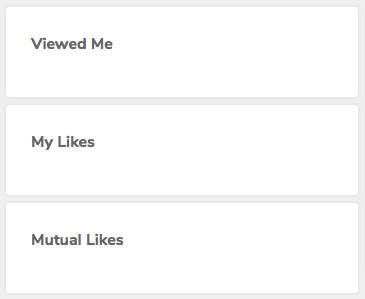 You can create an account on JDate by using your Facebook profile information or your email address. The first step is to provide your email, name, and birthday. Next, you will upload your photos. New users must upload at least one. You can choose to go by your actual name on the service or a display name. You can also be as forthcoming as you want to be with further details. Finally, you can specify what you are looking for in a partner based on preferences that include things relevant to Judaism, such as synagogue attendance habits and religiosity. Online dating can be just as stressful as searching from that special someone offline, but JDate’s clean interface and easy navigation make the experience just a little simpler. Everything you will need to access on a daily basis is clearly laid out and accessible from every page of the site. The search feature has some handy filters, including the ability to sort singles by most active, newest, nearest, and currently online. NOTE: Customer service at JDate doesn’t break for the Sabbath, and you can call anytime, 24/7 if you have any issues. There is also a FAQ that can answer all of your technical and dating questions. Getting started takes just a few minutes and only requires you to fill out basic information about yourself. Users can choose to provide more specific details about themselves at signup or, alternatively, can opt to fill them out later. Of course, JDate is targetted towards Jews, so many of the questions relate to religious observance. These include inquiries about your sect (Reform, Conservative, Orthodox, etc. ), your level of observance, and whether you are willing to be set up with people who are converting or who aren’t Jewish at all. 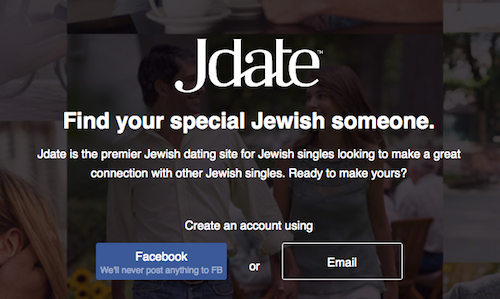 Yes, JDate is even open to non-Jews. Although this may seem counterintuitive, it makes sense. Some non-Jews seek out Jewish partners, while some Jews seek out non-Jewish partners. It’s a matter of preference that JDate seems to understand well. Upon logging in, users are presented with Daily Matches. This curated collection of potential mates can help you find people you are more likely to connect with without having to sort through the hundreds of thousands of registered members on your own. Free members get all of the tools they need to use the site in an optimal way but paying members can look forward to extra features. Chief among these extras is the ability to communicate with the members through chat rooms, message boards, private and instant messaging tools, a suggestive flirt, e-cards, audio, and video messages. These varying forms of contact can help set you apart from users without a premium account. Other fun features include ‘Ask The Matchmaker Rabbi’, a blog where real user questions are answered by a rabbi, JLife, a magazine featuring expert advice on online dating, and even a secret admirer feature for those who are just a bit too timid to reveal their true feelings. One thing that sets JDate apart is the offline activities they run. Members are encouraged to attend special parties, mixers, speed dating events, and classes in their neighbourhood, creating an overall vibe that one simply cannot get on less niche dating websites. JDate is quite blunt about their information collection policy. In short, they state that if you don’t want something about yourself to be shared, don’t share it. Otherwise, the data you provide them can be shared with third parties. You can stay safe on the service by reporting users who are harassing you and even blocking people who really get on your nerves. JDate has two premium pricing plans and depending on which you choose (and how you choose to pay for it) you can take advantage of special offers. The standard plan includes the standard JDate service plus the ability to send and reply to emails, access to instant messaging, notifications when messages and flirts are seen, full message board and chat room access, e-cards, and JDate mobile. If you prefer to pay month-to-month, expect to pay £19.99. If you pay for three months up front, the monthly rate will be reduced to £16.66. A half year commitment reduces the monthly rate to just £12.50 per month. A premium plan includes everything in the free and standard plans but also includes member spotlight, which displays your profile above other matches, and highlighted profile, which changes the colour of your profile in search results to really make it pop. A month-to-month plan costs £28.99. A three-month plan costs £23.66. A six-month plan costs £17.50. As you may have noticed, this makes the premium plan less expensive than the standard monthly plan. I recommend trying out the service before committing to either of these plans. If you are a Jewish single in the UK looking for other single Jews with whom to mingle, befriend, date, or even marry, there is probably no better site for you than JDate. With a wide range of features that can benefit even the biggest shlimazel, I have yet to come across a better option. That makes JDate certified Kosher in my book.